The Ambassador designate of Pakistan, His Excellency Raja Ali Ejaz, called on His Excellency Ibrahim Al-Assaf, the Minister of Foreign Affairs of the Kingdom of Saudi Arabia on 30 January 2019 in the Saudi Ministry of Foreign Affairs. The Minister received copy of the credentials from the Ambassador. The Ambassador expressed to the Foreign Minister his desire to work tirelessly towards enhancing bilateral relations between the two countries in all spheres of cooperation. 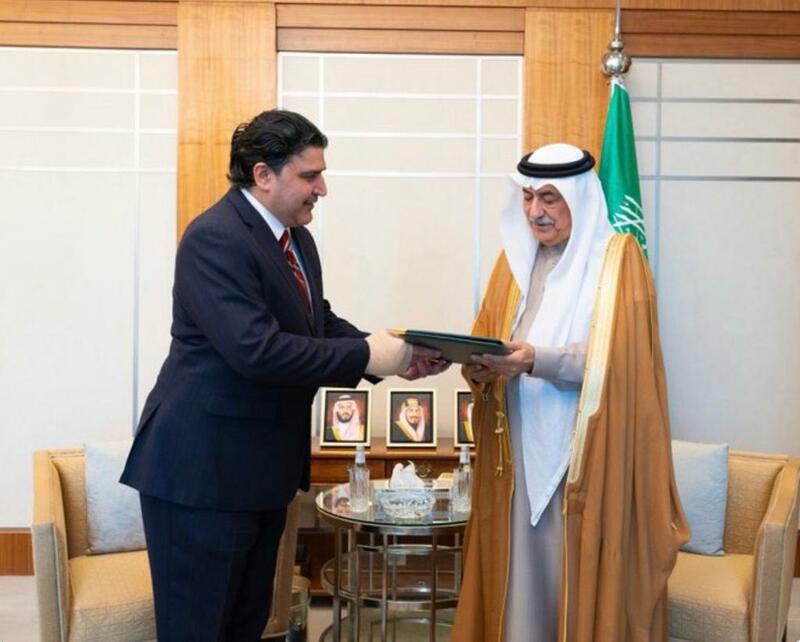 The Foreign Minister welcomed the Ambassador to Saudi Arabia and assured him of full support and cooperation.